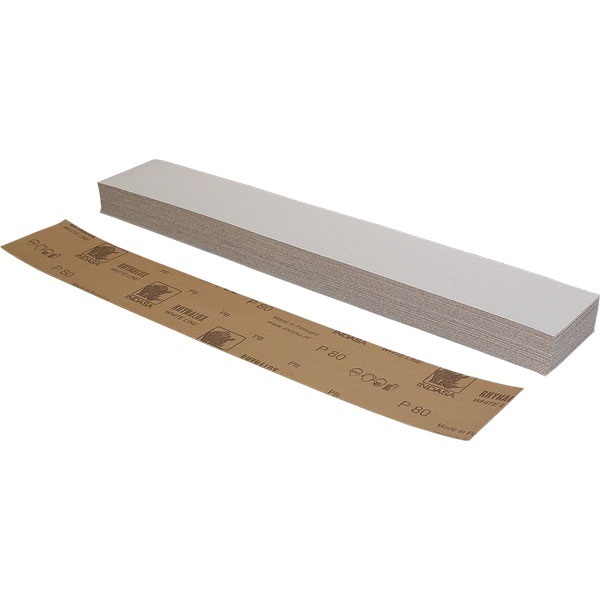 High-performance aluminum oxide dry sanding paper is very fast-cutting. Great for sanding body fillers and high-build primers. 2-3/4" wide x 17-1/2" long. I have previously purchased your 80 grit longboard paper and most recently purchased your 36 grit. I have used many different brands and I really like yours. Great quality and the price is right. Service & Delivery comments: Quick delivery.